Indochina is a term typically used to refer to the geographic area that is – north of Indonesia and south of China. This region and in particular your Indochina tour packages are by and large made up of three fabulous countries namely Laos, Vietnam, and Cambodia. Increasingly popular tourist spots in recent times, each of these beautiful countries (Laos, Vietnam, and Cambodia) provides something different for the tourist to experience. Though all of these places are by and large similar in culture, each brings to the tables its own set of traditions, languages, and social norms to make your Indochina travel more special. While traveling to Indochina, you can expect a similar weather in all the countries, as they all have tropical climates. Heat and humidity occur in this region all through the year, which means that you can travel to any of these places at any time during the year (though May to November is best), and feel and experience warmth and sunshine. In the past, Vietnam was known as a war-torn country, but it has recovered remarkably well from those horrors, coming into the 20th century as with a vivacious spirit. In addition to the countless war-related sites in Vietnam, the country is also home to dense jungles to be explored and deserted beaches to be surfed. 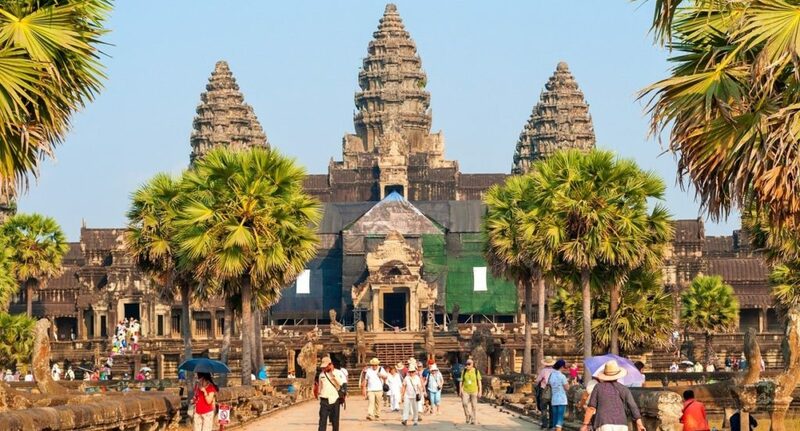 Cambodia, alternatively, is known and famous for its temples. There are very few sites as awe-inspiring as the grand, ornate temples of Angkor Wat, with their golden steeples stretching across an alien jungle landscape. Cambodians, too, are warm and generous and offer a culinary tradition not often experienced outside of Indochina. Laos, a narrow strip of countryside landed between Vietnam and Thailand. Laos, too, is a country of extravagant temples, such as Pha That Luang, an extravagant golden structure with sharp needle-like spires and lofty lotus-shaped outer layers.